Children Dentistry | Smile Angels of Beverly Hills - Bruce Vafa DDS. Children should have their first dental visit by the time they are a year old, according to the American Academy of Pediatric Dentistry. This early visit may not involve much in the way of a traditional exam, but it allows your child to get more comfortable in the dental chair and our expert in pediatric dentistry in Beverly Hills, in heart of Los Angeles, a chance to get to know your child. Our Beverly Hills pediatric dentistry expert is committed to helping your child build healthy dental habits that last a lifetime. We focus on making each dental visit enjoyable and positive. We explain everything that we are going to do and give your child an opportunity to learn about all the tools we use. Your child probably has questions, and we answer them in a way that can help reduce fear and anxiety. We can also help you explain dental visits to your child without using scary words, such as needle or drill. If your child has any special needs or health issues, let us know beforehand so that we can take any necessary precautions to keep him or her feeling safe and secure throughout the visit. When your child arrives for a dental exam, we may take a medical or dental history that allows us to better understand his or her needs. We will work with you to make the best decisions regarding treatment. We have many options to help your child feel comfortable and relaxed during any necessary treatments. Our expert in pediatric dentistry in Beverly Hills, in heart of Los Angeles, uses child-friendly terms to explain what we are going to do before we do it, and we use plenty of positive reinforcement to encourage your kids. Distraction may be helpful for kids who are nervous, and we offer music, games and other tools to keep your child worry-free. Because dental anxiety can affect people of all ages, our Beverly Hills pediatric dentistry expert can use topical and local anesthetics to eliminate discomfort and nitrous oxide to calm your child and create a pleasantly drowsy sensation. Contact our office today to learn more about how you can keep your child and his or her smile healthy or to schedule his or her next appointment with our dentist in Beverly Hills. Good dental health is an important part of overall health and well-being, and the earlier a child is introduced to regular dental visits, the faster they will simply regard them as a normal part of growing up, and not as something to be feared. Having a child in for their first checkup by their first birthday is wonderful idea. Instilling good oral health practices at an early age will pay dividends down the road. Helping a child through their preliminary dentist visits while reducing anxiety requires some thought and planning. First, having a warm and welcoming atmosphere greet them as soon as they walk through the door can help them relax and feel more at ease. A caring and considerate staff helps take the edge off of any uneasiness the patient may feel. The dentist helps out immeasurably by explaining what he is going to do, how he will do it, and what the outcome will be. This “Tell-Show-Do” method is very effective and gives the child a better understanding of how the dentist is trying to help them. Starting trips to the dentist at an early age can offer a number of benefits, not the least of which, it gives the dentist an opportunity to catch any early-developing oral health issues before they get too serious. Regular checkups at this age also give the dentist and his staff a chance to teach proper brushing and flossing techniques which will serve the child well all through his life, and may help keep oral health issues to a minimum. 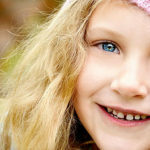 There are a number of ways that a Children dentist can make the experience more pleasant and still be very effective. The use of local anesthetics, nitrous oxide, distracting games or music are all aimed at making the dental visit a positive one. Bruce Vafa, DDS of Smile Angels of Beverly Hills has worked hard to make sure that his younger patients are at their ease when they are in his chair, starting with the first checkup.